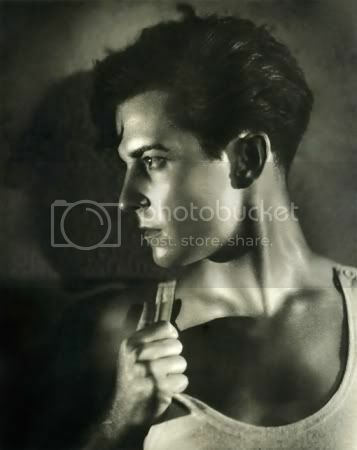 Ramon Novarro was born José Ramón Gil Samaniego in Durango, Mexico on February 6, 1899. Ramon was killed by Paul and Tom Ferguson at his Hollywood home on October 30, 1968. In his diary dated November 1, 1955, Christopher Isherwood and his boyfriend Don had boarded the "Andrea Doria" in Gibraltar the night before. They were not at all happy with the ship, but were delighted by one thing. "Oh yes - and Ramon Novarro is among the passengers. Don spotted him at once." There is no further mention of Ramon, or if the couple attempted to speak with him. Isherwood doesn't make any other mention of Ramon in his published diaries, so it's unlikely they had ever known each other.